The Keystone XL pipeline proposal, which would transport diluted bitumen from the Alberta tar sands to refineries on the gulf of Mexico coast, is in the news again because of the recent protests outside the White House and the because of the recent appointment of Senator John Kerry to the position of Secretary of State has bolstered hopes in the climate concerned community (which frankly should be everyone by now) that the Obama administration will ultimately reject the pipeline proposal. Hopes that were bolstered by the Obama’s state of the union address. But also because the journal Nature has thrown some tepid support behind the Keystone XL. Nature’s main reasoning behind supporting the pipeline seems to be that the whether or not the Keystone XL pipeline is approved, the expansion of the tar sands will continue until there is a broader energy/climate policy in place. the pipeline is not going to determine whether the Canadian tar sands are developed or not. Only a broader — and much more important — shift in energy policy will do that. And that is what matters, isn’t it? The pipeline itself is meaningless, what matters, from a climate perspective, are all the additional GHG emissions that would be caused, directly and indirectly, by tar sand development. I find it very hard to disagree with the position taken by the article in Nature. If the Obama administration decides not to approve the Keystone pipeline, there is still the Enbridge Northern Gateway pipeline to the pacific at Kitimat in British Columbia. If that falls through there is the plan to expand the Kinder Morgan pipeline to Vancouver. And if that fails there are plans to build a pipeline to the east coast, or a rail line to Alaska. And if all of that fails, there is enough money to be made in selling the oil buried in Northern Alberta that other proposals are guaranteed to pop up. Every individual choice, every long-term development project, every purchase we make, every financial investment in infrastructure or technology may, in isolation, be relatively innocent and modest. But our choices are additive. Society’s decisions must no longer be divorced from the recognition of the threats of climate change. Imagine a jigsaw puzzle with a thousand pieces. Each little piece might tell us almost nothing about the full picture; every little piece is a tiny, almost unimportant part of that full picture. But every piece added builds up to an inevitable end. The Keystone XL Pipeline may be just a minor puzzle piece of a far larger picture, but that picture, when all the pieces are combined, is one of potential planetary disaster. Again it is hard to disagree. Building the pipeline is taking a step in exactly the wrong direction and we have already squandered decades with our inaction. We simply cannot afford any more steps in the wrong direction. All of this puts me in an uncomfortable position. On the one hand I think building the pipeline is obviously the wrong thing to do, yet on the other I question the effectiveness of the anti-Keystone movement. What is their end-game? If they block the Keystone XL pipeline then what? Will they also block the Enbridge gateway? And the Kinder Morgan pipeline expansion? And the rail line to Alaska, and the pipeline to the east coast? And anything else that is proposed? Essentially, the opponents of the Keystone XL and other pipelines have to keep on winning, forever, while those trying to build pipelines, or similar projects, only have to win once. And if they do manage to win for ever, that would represent an enormous amount of effort. What is the best case scenario all that effort would accomplish? Perhaps after so many defeats the tar sand operators will slow down their operations, perhaps some will even shut down their operations. I don’t think this is likely, but this would represent a best case scenario. And it would be an unquestionably a good outcome, but from a climate perspective, this best case scenario won’t be nearly enough to avert catastrophe. So is that really the most effective use of that enormous amount of effort? This, I think, is the fundamental problem with supply side solutions. The anti-keystone movement, or more generally the entire anti-tar-sands movement, is trying to reduce our GHG emissions by attacking the supply side of the equation. Essentially the strategy boils down to getting governments and corporations to turn their backs and walk away from huge sums of money (millions or billions in profits and tax revenue). This literally pits the economy against the environment (at least in the time scales most CEOs and politicians are used to thinking about), and in this fight the environment has a very poor chance of winning. What if instead fighting a never-ending battle against a specific project (like the Keystone XL pipeline) we could focus on reducing demand for fossil fuels. What if instead of asking governments and corporations to walk away from profits we made it so there simply was no demand (or at least reduced demand) for their products and thus no profits to be made in digging up and selling the bitumen buried under the forest in Northern Alberta. As soon as that happens,the never-ending parade of proposals to transport the bitumen to markets around the world will dry up. There just won’t be any profits in pipelines or in any tar sands operations. There are many ways to go about achieving this goal, perhaps the two most obvious being some form carbon pricing (a carbon tax or cap-and-trade) and efficiency regulations. This would have a real effect on tar sands development as an MIT study points out that they are vulnerable to climate/energy policies aimed at reducing emissions. Of course achieving such a goal would be enormously difficult, but perhaps no more difficult than the endless fight against pipeline after pipeline. And once effective climate policies are in place, they target not just a pipeline, not just the tar sands, but also coal (which has a larger climate impact than the tar sands by a wide margin) and other sources of GHG emissions. Most importantly if the United States enacts a climate policy it could begin to act like a real leader in international negotiations and push other countries to do the same. That is an endgame worth spending an enormous amount of effort to accomplish; it is an endgame that has a chance of averting catastrophe. I don’t think the same can be said about the effort spent trying to block the keystone XL pipeline, even though I think that building the pipeline is obviously a step in the wrong direction. In the end the Keystone XL pipeline is a symbol. Symbols are important in motivating people and movements, however, we should not lose perspective and place undue importance on any symbol because ultimately symbols will not get us where we need to go. I was going to just say something snarky, but instead I’ll ask what theory of political organizing you base that reasoning on and how much experience you’ve had trying to implement it. This isn’t about political organizing more about the fact that the deck is stacked against politicians and corporations walking away from profits. As long as those profits remain the fight to prevent the extraction of fossil fuels will be never ending. Your last paragraph seems an important point and I think deserves more than the three lines it gets. Doesn’t it at least partly answer the questions about why Keystone is drawing so much attention? And whilst it has been made into a rallying point, it’s not just a symbol either – stopping the XL pipeline, and subsequent alternative pipelines, delays and disrupts the smooth running of tar-sand extraction. Won’t this give more time for legislation and incentive for investments in alternatives? I’ll leave the symbolism to people who can do it justice, more importantly one of the things I was trying to get across is the fact that perhaps the symbolism of the pipeline has been overdone. Does it? I am sure there is some effect but I don’t see it as a particularly significant event from a climate perspective. The biggest effect (one which is already being felt) is both an increase in transportation costs and an reduced selling price for the bitumen. So a lack of a pipeline means that oil companies are making less money than they would if a pipeline existed. But they are still making plenty of profits to make tar sands operations worthwhile. Won’t this give more time for legislation and incentive for investments in alternatives? Only if you stop all the pipeline, rail, etc proposals to get the bitumen to market. Or at least stop enough of them to cause tar sands operators to think twice about continuing their tar sands operations. I just don’t think that will happen; perhaps I am being too pessimistic. For a good rebuttal of my comment see Andy Skuce’s comment bellow. Your main point: absolutely. SKS covered Swart and Weaver’s work, with a pretty gobsmacking graph showing just how trivial the Alberta Tar Sands are next to the total quantity of carbon available to us. It gets complicated after that. One reason I suspect there are serious problems with carbon taxes is that ready-made case studies exist. Take the difference in fuel duty between the US and the UK: 13% versus over 60% in the UK. And of course, we do see economic effects from that, most importantly the long-term elasticity effects on technology that show up in MPG vehicle efficiency changes, for instance. But: what kind of carbon tax would you need to make a serious dent in carbon output, of the order that we need to deal with climate change? What chance do you think US politicians would stand even increasing fuel duty to 26%, let alone the UK’s 60% (which is low in comparison to recent years). I’m picking on transport, though it’s only about a quarter of global emissions, because mobility is so crucial – and hence so inelastic. There might be an answer in saying: a tax alone can’t be effective without a set of carefully applied policies to seed growth of a truly effective green economy that will eventually crowd out carbon altogether. How are we doing with that, though? Many good things happening, but fast enough? And then there’s the entirely valid point rightwingers (suddenly uncharacteristically concerned with the poor) make about fuel poverty: any carbon tax will hit the poor hardest. True in first world countries; in developing countries, forget any talk of zero-growth. You will get nowhere. They will have their growth; can we find ways to decarbonise it? If we don’t, any attempt to either increase fuel taxes or lock carbon up will fail in those places. The answer probably has to be as Ostrom’s last article says: everyone working out local, city and region level solutions. Also, I wonder whether “just passing some fecking laws” should be given more consideration than it usually is. The majority of people (with obvious “marketise-everything” exceptions) completely accept the merits of national parks to protect places of environmental importance. Why not do the same with the atmosphere? Indirectly of course: declare certain carbon sources as national parks. (It worked in the West Wing!) Imagine a moratorium on Alberta Tar Sand production: yes, a drop in the carbon ocean. But it would apply pressure to fuel prices. As I think Krugman’s said several times, future historians, writing their monographs in WaterWorld, are going to be flummoxed: so… bond rates were so low that people were effectively willing to PAY governments to take their money? And you knew about climate change? And… governments CUT spending? When they could have borrowed at negative interest rates and built a green economy? What the f4ck was wrong with you people?? But: what kind of carbon tax would you need to make a serious dent in carbon output, of the order that we need to deal with climate change? I think a better question is: given a sufficiently large carbon tax what will our energy bill look like? The problem with just stating a dollar value for a carbon tax is, as you point out, is political suicide (or at least far closer to it than politicians are willing to get). A high carbon tax might sound scary but there are two mitigating factors that need to be considered. The first is that the tax can be revenue neutral thus offset by reductions in other taxes (how you refund the money can go a long way in addressing the regressive nature of the tax), the other is that with a sufficiently large carbon tax we would end up emitting less carbon (that is the point after all). By starting with a value (say $200/tonne) you will likely never get the chance to explain that it really wont be as bad as they think. What could make them do that? It’s hard, but possibly the dividing-out of those revenues, Hansen-style, could accomplish it by getting favour from the electorate. Hansen specifies that *NEW* fossil carbon tax revenue should become equal citizen dividends. But if an election can be bought by making *EXISTING* carbon tax revenue into such dividends, very good effects could ensue, I think. … er, sorry, Moutal’s post. 1) If KXL is stopped, this will, by itself, choke back oil sands production for at least several years. The alternative transportation options are also likely to be delayed for many years, at best. Northern Gateway and the Kinder Morgan pipeline are opposed by the majority of the BC population (I am sure you know this) as well as by the probable next NDP Provincial Government. These projects are also fiercely opposed by aboriginal groups (years of court delays, at minimum) and a substantial minority who are prepared to turn this into a major civil disobedience movement. The other pipeline options eastwards or northwards(!) will face similar delays. Quebec and Ontario are not likely to want bitumen pipelines and more than BC. Upgrading in Alberta is not currently economic, even at today’s price discounts. 2) The prospect of having to live with expensive price discounts for years takes a big toll on the economics of future oil sand production economics (for once, discount rates work in the Greens’ favour). What stopping KXL is really about is delaying big capital investments in new oil sands projects. Once that capital is sunk, production economics will hinge on the marginal production costs for decades. This makes a KXL delay even more effective; all of these factors compound, and not in a good way for the producers. 3) The economics of oil sands will probably get worse over the next few years unless there is a big technological breakthrough. Natural gas prices will likely rise, making the costs of production higher and, according to the recent PWC report, shale oil may depress world crude prices over the years to come. Of course, oil price forecasts are very uncertain, but this kind of uncertainty on the downside is not the oil sands companies’ friend. 4) The KXL battle, whether it is won or lost, has greatly unsettled the governments of Canada and Alberta. Their complacent view that the world would be happy to take their bitumen has been proven to be completely wrong. They have to respond now with serious emissions mitigation strategies. Their pathetic re-branding attempts with the Ethical Oil campaign and trying to brand the anti-pipeline activists as unpatriotic have been counter-productive. 5) Even if Obama folds on KXL–and I think he will–the pressure on him and the Democratic Party to prove that they are serious about climate change will than be huge. I don’t know what tricks Obama has up his sleeve to price carbon emissions through regulations and executive orders, but, judging from his SOTU speech, it seems that he thinks he has some. I would prefer to see KXL stopped, but I would trade that for some small but real action on pricing emissions. 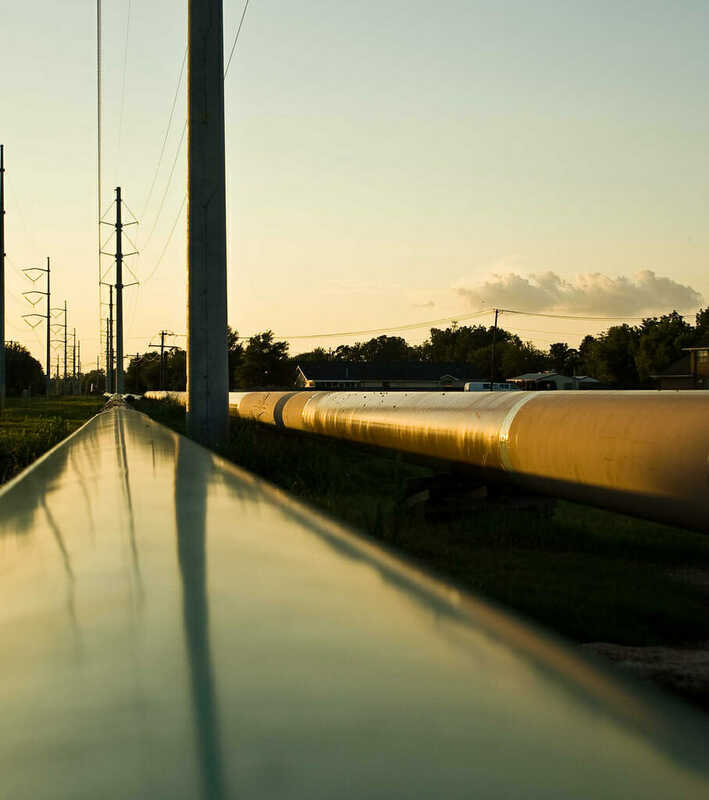 The continuing political pressure on KXL matters. I agree with you that reducing demand for fossil fuels is the only thing that will really make a lasting difference. Coal is the biggest enemy by far, but the remorseless logic of emissions limits and climate change means that most of the bitumen, oil and gas will also have to stay in the ground. All new capital spending on new fossil fuel spending has to be stopped to avoid infrastructure lock-in. KXL is not a distraction, it’s an important battle to fight, win or lose. Thanks for this. While I don’t agree entirely I think this is an excellent rebuttal to my post. I’m afraid the sort of oil at issue transcends Steve’s consideraable powers of snark. I hope people will check Russell’s collage. * As often, he hits up the issue, to mix a metaphor, straight on the nail’s head. I took the second meaning to be advertising pitch. SB, me too. I was just being facetious. Dan and I don’t consult on our postings. Perhaps (as we still intend to move more toward a magazine format) we ought to. Had we talked about this one, I would have urged waiting until after tomorrow’s action, which the US green channels are all lit up about. I would hate to think that P3 had squashed anybody’s enthusiasms. That (and the occasional sentence structure problem, but who am I to talk?) aside, this is an excellent and thoughtful piece. It’s true that stopping a single pipeline – even one as huge and odious as Keystone – will not literally “solve” climate disruption. No single action will do that, any more than refusing to sit on the back of a single bus literally ended segregation. The question – for Keystone protestors as it was for Rosa Parks – is whether the action captures and communicates a principle powerful enough to inspire and sustain an irresistible movement for sweeping social change. Stopping Keystone nails the core principle for climate responsibility, by preventing investments that make climate disruption irrevocably worse. Again, it’s not just that burning tar sands oil produces a lot of emissions; it’s that long-term capital investments like Keystone (and coal plants, and coal export facilities) “lock in” those dangerous emissions for decades and make catastrophic climate disruption inevitable. To which I say, amen brother! I hope Dan will consider yet another principle, one which I had a lot of trouble learning, and which given the similarity of our cognitive styles, he may have trouble with as well. Just because something is interesting to say and worth saying doesn’t mean that *now* is the time to say it. Politics is about emotion as well as about truth. I hate it when truth gets lost in the shuffle, but we should be careful about saying things at the wrong moment. I’d rather have read this next week after the initial buzz dies down from McKibben’s action. This essay was well worth reading and considering, but McKibben has my complete support in this venture. I regret to whatever extent, hopefully small, that P3 dampened the enthusiasm for it. This is the first article we’ve run that I hope doesn’t make a splash. I would sum the idea up this way: If we need fossil fuels to be left in the ground, we need to start just saying no to infrastructure that helps it removal. The KXL campaign is a very early effort in that regard. There will be (have to be) lots more. Eventually those (probably with assistance from an increasing number of Sandy-scale events) will ignite changes at both the consumer and policy levels. Simple. My actual feelings about this article would be too ill-tempered to fit with these rational responses. I mostly agree with you (MT), so, attempting to take the high road, this essay makes me think of Yeats: “The best lack all conviction, while the worst [a]re full of a passionate intensity.” Carbon taxes and efficiency regs are the ticket? Who knew? Call the President now and I’m sure he’ll have a bill to Congress next week, right after he calls for a new global conference where he will lead the charge on global carbon taxes and efficiency regs imposed by treaty. Assuming he doesn’t trip over a golf club on the way, of course. – especially the futility argument, which will be used against any single helpful action. Resistance is useless – it will be burned anyway — will be used to justify burning each deposit individually, unless contrary forces prevail. “but I’m sure resistance is futile” you seem to say, and I’m glad not everyone makes such assumptions. The presumption of futility is a winning argument for inaction, provided enough people believe it. “Symbols won’t get us where we need to go.” – an incomplete sentence posing as a complete one. “Symbols in the absence of anything else won’t get us where we need to go.” – possibly true but a strawman. “Symbols are part of what is needed, not all of what is needed.” is very reasonable. “instead” – a single word bad argument, as if one thing can only be done instead of everything else. Clearly. Let people see evidence that resistance is not futile, then we may see more action and more and more. You don’t know how much will be burned “anyway.” You do know that we must stop burning carbon and leave it in the ground. The more that gets left in the ground, the better. The fate of the Alberta tar sands is unknown. A slowdown increases the probability that less will be extracted than otherwise, in Alberta and elsewhere. Perhaps much less. If there is no pipeline then the bitmin will travel by railroad. Consider which has the greater probability of spills. Assumptions abound. Or are they really all the same assumption: all is vanity. One can also readily find what BNSF has to say about transporting the stuff to the Texas refinery. The thing about the Picard Principle is that Jean-Luc has some firepower. Those of us who remember the 60’s can’t call this a big rally. I expect that this will not give Obama enough support to derail the pipeline. I hope I’m wrong about that. I agree that the Picard Principle *should* apply here. But I think it needs those phaser banks to work. I don’t really understand the supply/demand reasoning in the article yet. From an economic point of view, there does not seem to be much of a difference. On the demand side, one has also to attack at many points – in every major country, or otherwise supply might still be extracted and simply burnt someplace else. Maybe numberwise this is not as bad as the number of potential major fossil fuel projects. Maybe pricing carbon particularly in the US could really make a difference and spark action worldwide. But then to ensure that the carbon will be left in the ground, carbon prices must be high enough. I don’t see that we are anywhere in the world close to this. And then, reducing demand through higher prices also means asking people and governments turn their back and walk away from huge amounts of money. I mean the money to be saved by using cheap fossil sources and dumping most of the external cost caused by the ensuing global warming on others. I don’t see why this would be much easier than forcing the supply side to leave carbon in the ground or at least, make it more expensive for them to extract and ship. Essentially, the problem, as I see it, is convincing or forcing enough companies/govs/people, supply and demand, to forego profits, that could be made now, for the future benefit of others. I think Dan (and Sandy in the comments and many others in the KXL discussion) is forgetting a critical fact. The infrastructure already exists to export oil sands to the BC West Coast, the Canadian East Coast, the Pacific Northwest and the US Southeast. Rail lines and rail cars can do the same job as a pipelines. As discussed in this Slate Article (http://www.slate.com/articles/health_and_science/science/2013/02/keystone_pipeline_protests_oil_companies_will_just_use_railroads.html) rail owners and oil companies are building up their rolling stock to provide a route for the export of oil sands. From an environmental point of view rail is one of the worst options for moving oil sands since it is energy intensive and rail lines tends to run alongs river edges so will be more of a risk to the environment. But rail is not overly expensive and with the current price for oil sending oil by rail makes financial sense. As suggested in the article, the only way to stop the development of the oil sands (or any new oil development for that matter) is to address the supply side of the supply-demand curve, because as long as oil is at $90 bbl the producers will find a way to get their product to market.